Frequently Asked Questions | FAQ | Air Commander 1 Garland Dallas / Ft. Worth. Although most heating and cooling systems manufactured today are quieter than ever before, it’s a goodidea to compare sound ratings when shopping for a new air conditioner or heat pump, particularly if the equipment location is near bedrooms or living rooms. What is a Spring Tune-up and how much does it cost? In addition to the professional visual inspection included with our System Inspection, a Spring Tune-up also includes a total maintenance cleaning and lubrication of the heating or air conditioning equipment components. Discover more here about Air Commander 1 Experts Heating & Air Conditioning’s Spring Tune-up steps . The fee for a tune-up is seasonal, and may generally fluctuate from $69 to $159. There are an abundance ofpossibilities that can cause your HVAC system to freeze up; almost all of them usually need to be corrected by a professional technician. Determining the air filter is clean or replaced and making sure the airflow is not restricted are about the only tasks a homeowner should safely identify or handle themself. Should you discover that your system was freezing due to a dirty air filter, after replacing or cleaning the filter, you can hasten the thawing process by turning the system off and then turning on only the fan. 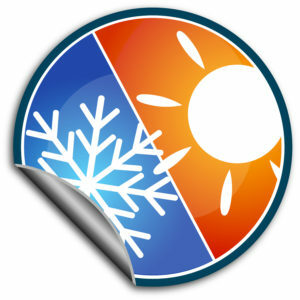 If you have a heat pump system, you can try turning the system to heating mode until the ice has melted. After the ice has melted, switch the system settings back to normal. If the system refreezes, contact Service Experts Heating & Air Conditioning in your city to solve the problem. If the problem recurs after checking for air restrictions and thawing your system thawed, schedule a service call with Air Commander 1. Our service technicians will check the refrigerant level. They may also have to clean the evaporator coil, check the blower speed and check for any intermittency in blower operation. A service technician can also evaluate other conditions that may make your system prone to freezing and recommend the best course of action. An air quality system can greatly improve both your comfort and your health. The areas of air quality to consider are (1) purification, (2) filtration, (3) humidity control, and (4) ventilation. A wide number of air quality features come standard with many new heating and air conditioning systems; others can easily be added to existing systems. Contact Air Commander 1 to discuss your air quality options. Electronic air cleaners can greatly improve home air quality and comfort levels. If you suffer from allergies or have pets, they’re a must. Some electronic air cleaners can even remove dust particles and pollen as small as .10 micron. Air Commander 1 offers a variety of air filtration devices. Talk to your Air Commander 1 Specialist to discuss your options.